Get SEVEN spins at this week’s featured random jackpot game each day you login to Slots Garden on your cellphone This week you’ll go after the Cash Bandits jackpot on us! 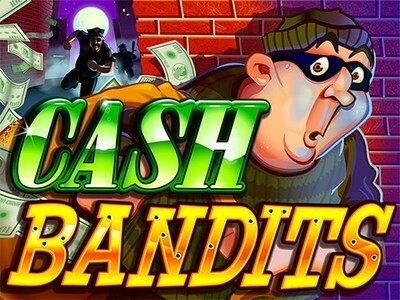 Plus, every day you login to Slots Garden on your desktop/notebook (PC or Mac), you’ll get SEVEN more spins for the Cash Bandits JP. Every day. That’s 14 shots DAILY at a random jackpot. On the house. Just for logging in. Everyday is a good day to play, in the Garden.